What does Mrs. Wilson think about Oakland for a year, then Vegas? Chuckie can always use another QB. ...see if she's liking the Argos right in your back yard..... .
Hamilton is closer for me, but we all know Missy will put the kibosh on the Steel City. TO is where all the ‘hep cats’ are. Awesome! Trade him and take your new QB early. Pushing talent down to the Bills is what I want to see! There’s no way they trade him, right? I mean that would be nuts. You’d have to give me at least your 3 first rounders and 2 second rounders the next 2 years. And I’d have to love a QB in this draft and have a deal in place with Arizona for the #1 pick. I not sure even that’s enough for a 30 year old Russell Wilson. The “deadline” he’s set seems strange. If I’m the Seahawks I get it done and if he doesn’t agree I tag him and put an end to this stupid stuff that Antonio Brown was able to pull. 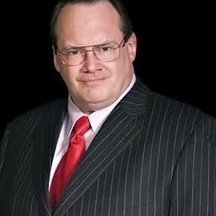 Draft a developmental guy in the 4th round this year. Tag Wilson and if he doesn’t sign let him sit out. Agreed. he is a 'good' QB...enough to win a championship with a great team around him.And no one gets any faster after about age 25---so that part of his game wont improve. But QBing in the USA is at a premium. A lot worse QBs than wilson make TONS of dough. Gettleman has to at least make that call. 2 1st rd picks? That’s like the same price as Khalil Mack. Throw in Eli for good measure. Crazy. I spent years finagling a way to move my career to Seattle. It's where I've put down roots, by choice. I love the city, the pnw, everything about it. Regardless, he'd have to really be an idiot to push for a trade. He is the Seahawks, and he's won it all with them. Wow, sorry to hear that. Where are you in the city? I've had the complete opposite experience. I got the hell out of the Bay the moment I could move to Seattle. I appreciate the sense of community, history, traditions, and have had who knows how many conversations about the myth of the seattle freeze, ha! Not saying your takeaways are wrong or illegitimate, just that on precisely the same benchmarks I have come to a totally different conclusion. If I lived in shoreline/lake city/bellveue/kirkland/kent/renton or one of the many satellite towns, I imagine my experience would be quite different. we've lived in Queen Anne, and now Lake City/Northgate. where did you live? I could get into the minutia of it all, but our experiences were the same. not to mention the city itself hasn't accommodated for the influx in population. in my opinion, the city is a mess. it's the last place I'd want to set up permanent residence or raise a family. the Seattle Freeze isn't a myth. if you haven't experienced standoff-ish or "cold" interactions, that's great, but it doesn't dismiss its existence. much like famine - just because you're "fat and full" doesn't mean famine is a myth. that was just an analogy. quick story: while I was on Microsoft's campus and elderly woman (well into her 60s) tripped and fell. literally, this is no exaggeration, no one helped. I was the first and only person to approach her. other people glanced down and walked right bye. my fiance is a clinical physiologist (specializing in Autism) and she's told me she's had more than one patient say they're leaving Seattle because they can't even get a response for medical inquiries or appt request. I myself faced the same thing when dealing with SCCA (Seattle Cancer Care Alliance). I ended waiting til I came back to Buffalo for Christmas to get my annual physical. not to offend, but that's been my experience. now that she's done, we're moving this summer, back to Buffalo. Del Rio: "Don't be surprised" if Wilson changes teams in '19. Would be the biggest move of the Season... If you're the giants and you think they might move him, do you call em up and offer two 1's? Yes I would give up 2 #1s for Wilson if I was the NYG GM- I think he is underrated. Not easy to get a QB like that. I don't see Arizona dealing within their division (Rosen or the pick). From what I understand it isn't that they dislike Rosen, they just apparently love the Murray fit. Change the name to Khalil Mack and this is a repeat post from this time last year. Would you trade #9 and Josh for Wilson? I think I would not but Buffalo might be instant contender. 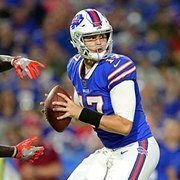 I can already hear Howard and Jeremy tomorrow morning: "Look, we don't know if Josh Allen will ever be a franchise quarterback. One thing we DO know, is that Russell Wilson is a franchise quarterback. I sincerely hope that Brandon Beane has at least reached out to the Seahawks about what it would take to get Wilson. Besides, Buffalo isn't that far from New York City. He can live in East Aurora or Orchard Park, while his wife gets them a place in New York. Problem solved."